Scratch 3.0 Released, Raspberry Pi working on upgrade #Scratch3 #RaspberryPi @Raspberry_Pi « Adafruit Industries – Makers, hackers, artists, designers and engineers! To help you and your young learners navigate the new Scratch 3 interface, the Raspberry Pi team has created a free, printable Scratch 3 poster (PDF). 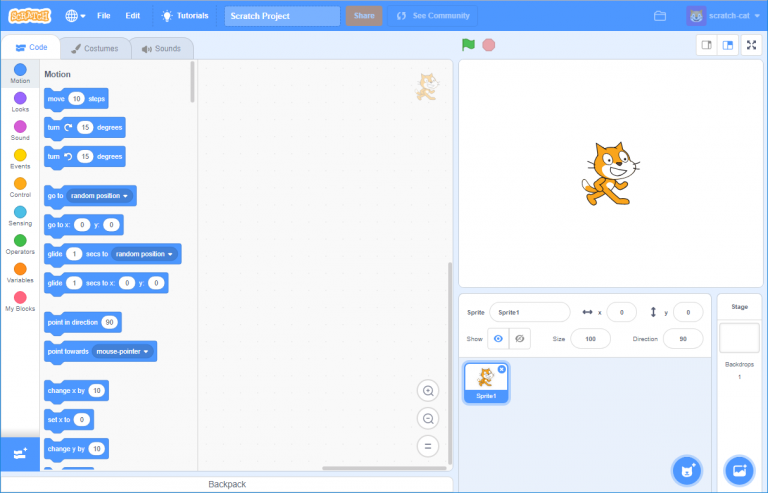 At the moment, there is no offline, installable version of Scratch 3 for Raspberry Pi. Rest assured that this is something the Raspberry Pi team are working on! The creation of Scratch 3 for Raspberry Pi will be a two-step process: first they’ll support MIT with the optimisation of Scratch 3 to make sure it delivers the best performance possible on a range of devices; once that work is complete, they’ll create an offline build of Scratch 3 for Raspberry Pi, including new extensions for the GPIO pins and the Sense HAT. Read more on the Raspberry Pi blog.